We survive on adversity and perish with ease and comfort’- Livy, ‘Annales’, V, 51. This journey will begin at the end. Roman Britain was a period where the Classical world smashed into the Celtic, creating a culture that was unique and wonderfully absorbing. In the minds of many, quite wrongly, it is when the history of Britain truly began. Druidic cults would come face to face with the grandeur of Roman polytheism; roads would be slammed onto the landscape to allow the ferocious war machine of Rome to alleviate the Brits of their freedom with brutal efficiency and speed. Stone and glorious marble would replace tired wood, and Rome would slide its fingers around Britain’s throat whilst distracting it with death and gold. This is the popular public view, the Romans came in 43 AD, saw, conquered, had an alarmingly close call with the fiery haired Boudicca, built lots of nice things and we basically just held hands for three hundred and sixty seven years in a lovely peace. The Romans gave us roads right? Not exactly true, examples have been found of a reasonably efficient road system already in place. They brought law and order, again, quite wrong; most of the evidence we have for law and order in the Roman style is from the very last convulsions of the empire. In addition and more importantly of course they brought civilisation. Well, that would depend what one would mean by ‘civilisation’. When the Romans left these shores in 409 or 410 AD, the province alarmingly quickly reverted back to a system of rule and culture that had not changed much since before the conquest. In effect, the native Britons simply seemed to have shrugged off those pesky Romans. A mere hundred years after the Romans departed on a doomed mission to resuscitate an empire choking on its own neglect, the Britons had adopted a system of law that bore no resemblance to its Latin forbear, unlike in Gaul and Spain where the Goth and Vandal Latinised system of law prevailed. The Roman civic centres, the towns, had collapsed into decay; Roman Britain had become a ghost province, an image of shadows and dust that today we still find romantic and nostalgic. The Germanic barbarians that settled in Europe after the fall of the Roman West adopted the Latin language, the Angles, Jutes and Saxons that came to Britain in this period did not. The peoples of Britain were only too happy to leave Latin behind as an everyday language, leaving only the faintest traces of Latin in the English dialect today (1). Still however, we are prone to clutch at this Roman epoch of our history, before now, the period after 409 AD was referred to as the now ridiculous, ‘Dark Ages’. This means that when the Romans had left Britain, apparently the light simply, went out. But was it ever truly lit? The trouble with archaeology…is the archaeologists…. In order to discover whether the Roman occupation of Britain actually was as seismic a shift in history as portrayed within many circles. We must first look at the very thing which helps us wade through history, archaeology itself. The discipline of archaeology works upon a basic principle….the idea. The calculated assumption of the material evidence. This calculation goes through a fashion cycle, a wheel of ideas and interpretations that eventually come back around. New archaeological discoveries simply serve to shore up an idea, or negate it utterly. What archaeology does serve up with every answer are yet more questions requiring investigation. This is none more so the case than with Roman archaeology in Britain. The theories that abound re-circulate with new modes of archaeological thought; the basic underlying historical narrative doesn’t change, or changes its trajectory only slightly. It’s the attitudes and opinions in archaeology and history that undergoes a recycling action, what was fashionable in years past again recurs. The literature on Roman Britain is vast and daunting, and many scholars seem to repeat the same interpretations of the material and documentary evidence. The archaeological record, the primary sources are un-changing. It is our constant re-interpreting of the evidence that changes our view. As a nation, many are fascinated by the Romans. One of the principal symbols upon our coinage in Britain is the image of ‘Britannia’ herself, and indeed, ironically, Rome’s greatest adversary in Britain, the ferocious Boudicca, stands guard over the Houses of Parliament. Our love for the empire is born from the romantic notions of the Classical world in the 18th and 19th centuries, when nostalgia ruled the waves. Thus our entire view of Roman Britain is dictated by hindsight, though this is always the case with any history. It is almost impossible to view any history with complete objectivity. Our conceptions of what’s right and wrong, of what is good and bad and of what works and what will fail is completely dictated by the modern world we inhabit. Bias is an inescapable aspect of any historical study, and even though archaeology is gaining scientific momentum, it is still interpreted using bias and fashionable ideas. It would appear from the re-imagining of the evidence to see the province of Britannia in a nearly new light, an island that largely snubbed Roman culture, which rebelled against the very nature of Roman civilisation, a gloriously and decidedly un-Roman province….the province of Britannia. The Villa, for all of its grandeur, mystery and iconographic status, is ultimately and simply, a paradox. Because they are the ultimate symbols of Roman decadence and are a very visual archaeological site, they are paraded to tourists and interested parties as the norm in Britain, giving the idea that everybody lived in a villa, or at the very least, a nice Romanised building with all the trimmings. Of course this is not so, to the extent of almost being a phallic evaluation of the actual evidence. In reality, despite the meticulous study given to villa sites and their immediate landscapes, they actually represent less than two per cent of the known and recorded settlement patterns in Britain between the first and the fourth centuries AD (2). That is less than one in six known rural settlements that can be classed as a ‘villa’. 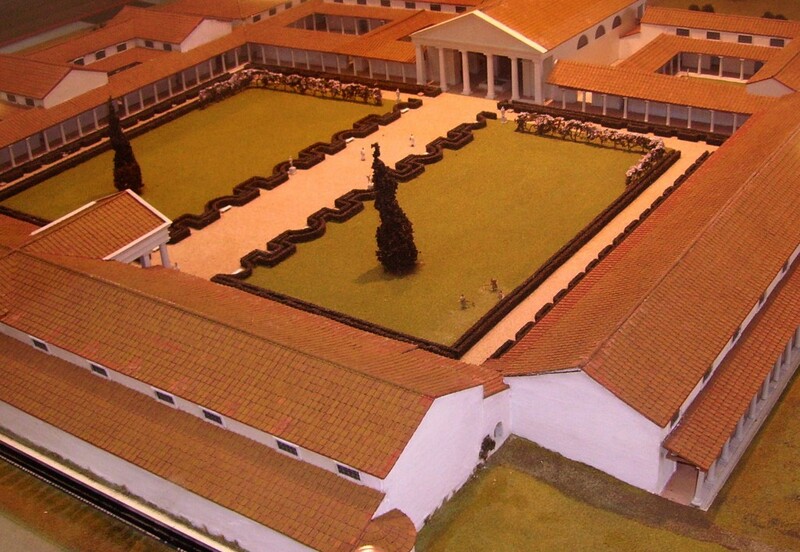 The finest example of a villa complex found in Britain, Fishbourne Palace. Wiki Commons. Yet still the Roman Villa is the very epitome of archaeological typology in the UK. Archaeologists and historians whom hold a sympathetic attitude towards the Roman occupation are prone to hold the villa in the highest regard. They are an extremely alluring site to excavate; they produce strong linear features such as walls and paved floors. The small finds can be a delectable mix of pottery, metal objects and mosaics, or part thereof. They can make entire careers in archaeology. They hold the mastery of the landscape buried beneath our feet, and they can tell us an exponential amount about the ordinary lives of the inhabitants, and in some cases, can reflect the historical context of events in the empire. As such they are meticulously scrutinised and re-interpreted. Villas are a high status reminder of Rome’s cultural mastery over the island. Yet, are they? With everything believed to be correct about villas, there are more and more aspects to them which are very difficult to accurately ascertain. We have no real idea who even lived in them or what their sole purpose actually was; and from these ashes of uncertainty, comes new areas of interpretive thought and in this case, the usage of the evidence to substantiate the idea of a less than successful Roman cultural explosion in Britain. Throughout academic history, the focus has been on these villa sites to attempt to ascertain the extent of the Roman culture on the landscape, whereas the actual more telling sites have tended to be overlooked slightly. Villa sites tend mostly to be found in areas of Britain that are fully pacified, or at least this is the impression the evidence suggests. People would build them who would truly benefit from the Roman system of patronage. More specifically in areas where the soil was rich therefore capable of sustaining the kind of intensive farming the Romans brought with them, and of which most villas are thought to be associated with. Villa sites as they appear now, in the archaeological record, are mostly dated to the third to fourth centuries AD, with the exception of places like Fishbourne in Sussex and Eccles in Kent, primarily phases of construction from earlier periods. It is a strange parallel that the turmoil the empire as a whole was going through during the third and fourth centuries did not reflect or hinder the growth of villa sites in any substantial way. The areas highlighted in pink in (fig 1) illustrate the places where villa sites were most prominent in the fourth century, and from what we know about the diffusion of such sites, it would not have been much different from preceding centuries. It shows the concentration of the villa sites as unanimously in the South East of the province, where the attitudes towards the Romans was far more welcoming, as well as the richness of the soil for intense agricultural use. Attention should also be drawn to the faint scatterings of villas elsewhere, being precisely that, a faint scatter, the ‘Chaos Theory’ to the predictability of Roman settlement patterns. Very few are found in Wales, adding material weight to the theories that the Welsh tribes very rarely favoured the Roman administration and to the North they seem to peter out the further North one travels. It’s our fascination with the great and the wealthy, and the impressive. This dictates our opinions and interpretations; it’s possible to say that we as a society have an elitist view of the past. In much the same way today, we tend to focus on the stately homes, a relic of a decadent age, whereas the evidence for people, the very essence of history, can be found in places like the terraced house, or the simple apartment block, yet of course we are prone pull these down. Villas are very much the exception, rather than the rule. To be ‘Roman’ in its full sense was more of a lifestyle choice that impacted levels of society that were a very small proportionate of the overall population. Villas were hugely expensive to construct and maintain. It is the rough equivalent of living a footballer’s lifestyle today, completely un-feasible (and un-desirable) for the majority of the population. If not in villas….then where? 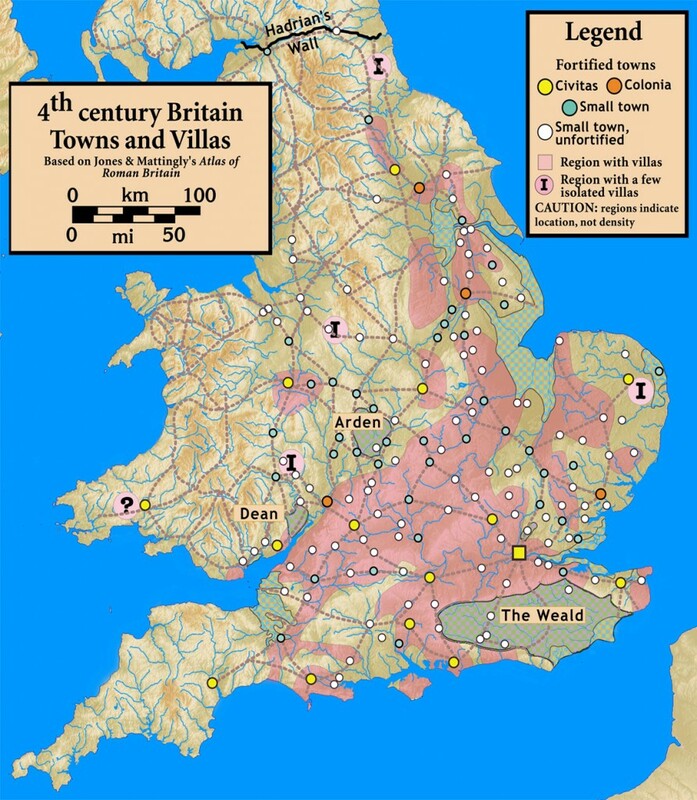 According to recent studies, over ninety per cent of the population lived in the countryside (3) and this is where the predominant evidence for a less that successful province of Britannia stems. Being a true Roman was an expensive lifestyle choice. For the vast majority of the population living in Britain at the time, the cultural benefits of being ‘Roman’ would not have been just financially feasible, regardless if there was any desire to be so anyway of course. Plus, the very essence of being ‘Roman’ would have contrasted wildly with what is known of social ideas of identity and community in Iron Age Britain, which was a marked difference in how one could be defined as ‘Roman’. The Iron Age Britons were a set of individual peoples and tribes, with their own cultural curiosities and intricate systems, a unified form of anything would presumably have been quite an alien prospect for them. The only real things they shared were a thread of ‘Celtic’ culture and the fact they shared the same landscape. The pill of being ‘Roman’ would have been a hard one to swallow, simply because it negated almost everything they would have held dear, most importantly, those of values and principles. The majority of the population still maintained much the same lifestyle it did before the invasion of 43AD, and this can be seen through the archaeological record, or the lack of it, depending on one’s perspective. The limited effect and diffusion of Roman culture on the predominant rural communities through its material evidence can be seen. The settlement patterns and sites that dominated the pre-Roman Iron Age landscape varied very little after 43 AD and into the subsequent centuries. Thus, it may be seen as though neither the environment, nor the lifestyle, changed very little, this would mean the overall ‘Celtic’ culture remained. No baths or trappings of luxury for the hardy country Brits then; the new roads presumably being the only true reminder of who was in charge now on a day to day basis, and the new towns (oppida) being built inching their way onto the horizon. In the matter of decade from the date of 43 AD, Britain was a thriving trading hub, and goods and people from all over the known world were flooding into the ports, into the towns, and then dispersed as goods were bought and sold. The thriving markets of the new towns must have been an enchanting sight to behold, the smells of spices never before seen, the cacophony of different dialects being spoken would have shown the might of Rome, and they seemed to unify the entire planet. Temples to alien gods would preside over microcosms of an entire empire. This is not to say the Roman presence was simply not felt in rural Britain, of course it was, and Rome did succeed in this respect. Roman artefacts are found at these sites, but these are small items, like the occasional cooking vessel or jewellery, objects that improved aspects of daily life, rather than a complete overhaul of lifestyle and cultural identity as is made to be believed; or indeed would have been the case with a conversion to the Roman way en masse. Romanised buildings are found relatively frequently in rural areas, yet still they are built over the top of previous farms and steads, only with minor alterations involved in the placing of such sites. Good soil was good soil, and if a Roman building of sturdier stone was good for keeping produce dry for example, then it is pragmatic at the least to utilise these technologies, yet it wouldn’t mean one had to change their entire perspective on culture. The clothes one wears doesn’t change the colour of ones upbringing for example. This is none more so visible than in Wales. 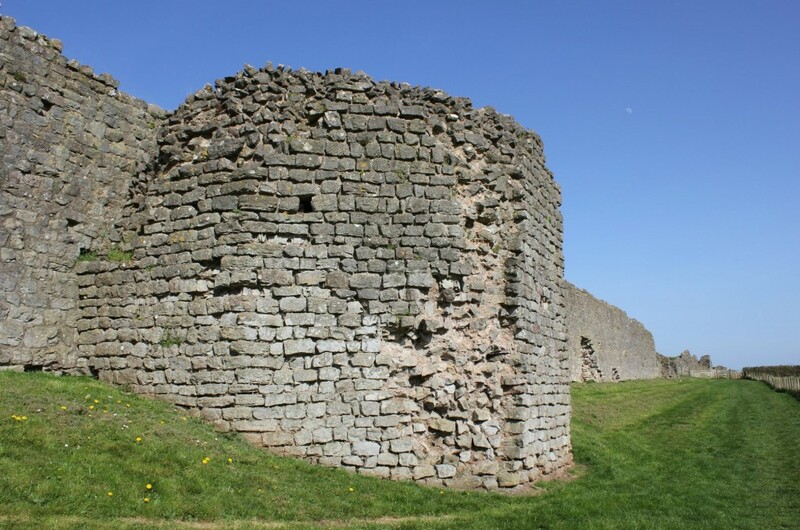 Wales had two important Roman civic centres implanted there, Caerwent and Carmathen. However when one looks outside these immediate areas, the Celtic life never is very far away. A large number of hill forts continued to be utilised in the same ways they were before the Romans came. Small indigenous settlements are found to still be occupied throughout the Roman period. At Tre’r Ceiri in Gwynedd, a walled settlement comprising of 140 circular huts has been discovered. Pottery evidence has found that the main period of occupation was between the second and the fifth century, when Britain was in the very throes of Roman dominance. Although utilising the imported Roman pottery, and presumably the goods within them, it is still possible to see almost a microcosmic view of the rest of Britain at this time; a native people with some new tools to use. The essential lifestyle didn’t change, but the trappings of life altered into a hybrid of Celtic and Roman culture. The Romans were a big deal in Britain. It’s rather superfluous to argue otherwise, they fundamentally changed the way the island was perceived by others, and by themselves. The very essence of why they reverted back to the old systems may just be down to simple geography, diffusion takes time, and it evolves with the ebb and flow of history. The Romans introduced roads to Britain, a vast network that connected a previously fractious but communicative landscapes like blood vessels pumping the blood of Britain back to Rome. They essentially introduced a new level of society that affected the elite, the marginal proportion of society; only these presumably would have had the desire, or the finance to partake in the Roman way. The ordinary people, the ones that are the most elusive for us, would have continued to pay their taxes. Picking and choosing the parts of the Roman culture that suited them, from the humble cooking pot to the architectural pretentiousness, and all in between. This is certainly true that the native Britons very rarely changed their everyday lives to any great extent; this is also true in virtually all of the provinces around the empire outside of the civic centres. Rome imposed its will where it could control the flow of finance, this is all it really wanted or needed. In respect to whether the ‘great unwashed’ in the provinces bought into the idea of culture is un-important, so long as they paid their taxes, kept their mouths closed and kept their swords sheathed. The study of the Roman occupation of Britain is thwarted at every level with the lack of evidence for real people. How one lived, loved and died is always elusive. We study archaeology as a science, and archaeology is essentially the study of people through the materials left behind, of which there are scant traces. Humanity is not a science, yet we still attempt to make sense of lives lived. It is an impossible mission to study the remains of a dwelling and deduce the stories of daily life that we attempt to drag kicking and screaming into our modern world. The point of whether the Romans were as important to Britain as to the 1066 AD invasions of the Normans is again an un-important point in this context. The archaeological record is far more coloured with evidence from this pivotal period in Britain’s history than with the Roman epoch. The Saxon’s, Angle’s and Jute’s that followed them did far more for the nation also in regards to culture and language, but they remain tantalisingly elusive, on the very cusp of our consciousness. It’s the grandiose majesty of the Romans, the poetic brutality and delicious debauchery which really captures the imagination; this is why the Romans still hold sway over our history. The Romans help in a large way to keep new generations of people interested in history; they evoke an image of fascination that sadly history and archaeology is missing in the modern world. Britain is just a small part of an even greater world scape that lies buried beneath our modern nations and ideas. It slots into a period of time and space where people walked the earth, where almost everything they did was intrinsically different to the modern world. History needs us; it needs our concepts, our arguments and more importantly, it needs our future. Without keeping history alive, it would simply stay dead, it would simply stay history. Whether the Romans impacted Britain as much as is believed is for the academics to fight over, haggling over the intricacies of evidence that have long been argued over. This is because it doesn’t actually matter. The Romans are, and always will be, the vehicle on which we can capture the hearts, minds and imaginations of entire nations, and keep the flame of history burning that little while longer. The immortal question of: ‘What did the Romans really do for us?’ will never really be answered, but that doesn’t mean we should stop asking. (1): Jones, T, Ereira, A, 2006, ‘Barbarians: An Alternative Roman History’, Ebury Publishing, London. (2): Russell, M, and Laycock, S, 2011, ‘UnRoman Britain- Exposing the Great Myth of Britannia’, The History Press, Gloucestershire. (3): Bedoyere, De, La, G, 2010, ‘Roman Britain; A New History’, Thames and Hudson Ltd, London. Goldsworthy, A, 2010, ‘The Fall of the West, The Death of the Roman Superpower.’, Phoenix, London. Tacitus, (Translated by Grant, M), 1996, ‘The Annals of Imperial Rome’, Penguin Classics, Clays Plc, St Ives. Tacitus, (Translated by H. Mattingly), 1975, ‘Agricola and the Germania’, Penguin Classics, Hazell Watson & Viney Ltd, Buckinghamshire. Alcock, Joan P, 2011, ‘Roman Britain’, Constable and Robinson Ltd, London. Danziger, D and Purcell, N, 2005, ‘Hadrian’s Empire: When Rome Ruled The World’, Hodder and Stoughton, London. “Thanks go to everybody who questions what they see, and believes what they don’t.” P. Lambert 2012.